Go Taipei Backpackers popular with independent travelers. 100% privacy, ensuite room with private bathroom, no common area. It is within 5 minutes walking distance from MRT Jiantan station and 1 minute from Shilin Night Market the biggest one in Taiwan. We neighbor the famous Chiang Kai-shek Residence and Yangmingshan National Park, National Palace Museum, Taipei fine Arts Museum, Taipei Astronomical Museum, National Taiwan Science Education Center, Ming Chuan University (Mandarin Studies & Culture Center), Inventec Headquarter, Taipei Childrens Recreation Center, SOGO department store. Plus, Shilin Sport Centre, Yuanshan Sports Complex, bowling centre, game centre, pool room, foot massage, swimming pool, movie theater are all only a block away. Danshui River district (Danshui Station), Longshan Temple (Longshan Temple Station), LUXY Nightclub (Zhongxiao Dunhua Station), Room 18 Nightclub (Taipei City Hall Station), Taipei 101 (Taipei 101 Station), Taipei World Trade Center (Taipei 101 Station), Taipei Arena Ice Land (Nanjing E. Rd. Station), SongShan Airport (SongShan Airport Station). Service for travelers who making reservation in advance only. *Please email us if you do not receive personal confirmation email with details and map after the one from booking system upon your booking completed in two days. With the email you will easy to find us as there is No Signage here. *Our ensuite rooms are all independent unit in the building, no common area, no front desk or on-site staff however our friendly staff is always around to help. Please consider the condition before your booking. *Convenience store (24hours open) down stair. *FREE airport pick up service can be arranged for staying a minimum of 2 weeks. You have alternative of long-term stay discount. *We do not have laundry service but there are several 24hours coin laundry nearby. From the voice of our guests, we put an extra effort to establish the better facility here in the Go Taipei Backpackers! Enjoy staying with us! 4.Any lost or damaged of key card will be fined NTD300. 5.All our facilities are on shared basis and not allowed to take away. Go Taipei Backpackers maintains a strict cancellation policy. *The extra 30% of the balance due will be requested in next 24hours as down payment. *For cancellation, Please notify us at least 7days prior to arrival time. *For cancellation, Please notify us at least 30days prior to arrival time if booking with 2 nights and more. *As mentioned above, cancellation made in inappropriate time will be subjected to a 50% cancellation fee. Any cancellation made in 48hours before arrival day or after the Check-in day will be charged on FULL payment. For group, holiday, more than 7 nights or 2 rooms booking, any cancellation made in 72hours before arrival day or after Check-in day will be charged on FULL payment. Please be courteous enough to inform us immediately of a cancellation. 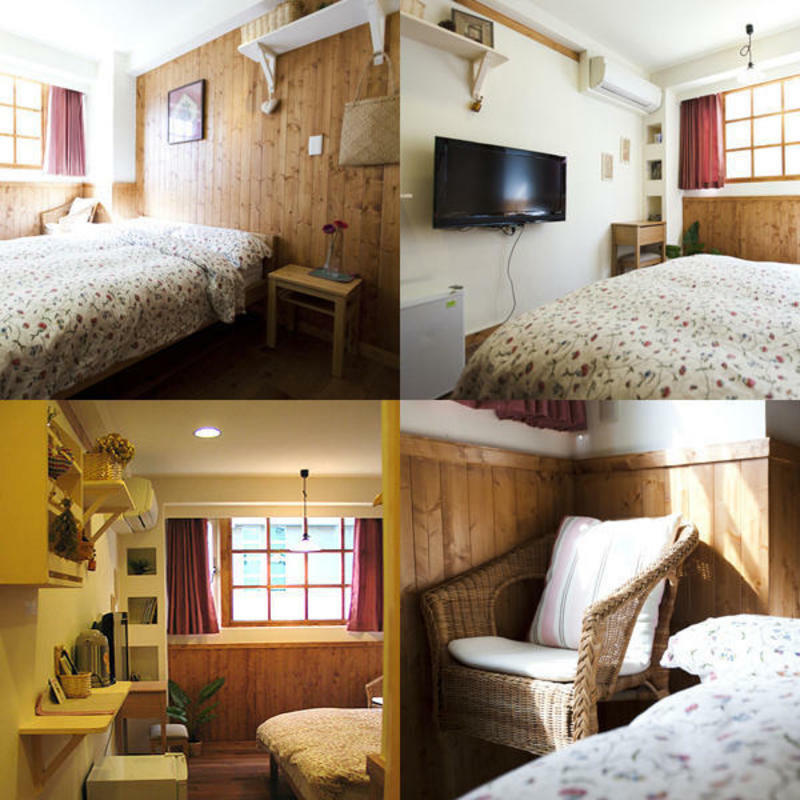 Go Taipei Backpackers purposely opened to welcome travelers who prefer the simplicity of homelike, cozy living in a serene atmosphere. Here, our guests will be truly exposed to Taiwanese ways of life. If you come once, you'll be hooked. Welcome to Go Taipei Backpackers! Only 5 minutes walks from the nearest MRT Jiantan station (Red line - Terminal Stations: Danshui-Xindian, Service Hours: 06:00~24:00).